Thursday, July 16, 2009 by Dave Winer. It's been an interesting couple of days with TechCrunch first teasing and then releasing internal notes from Twitter Corp meetings. At first the debate was over the propriety of TechCrunch releasing this information. But now that at least some of the information is out there, the discussion is turning to the information and attitudes they reflect. 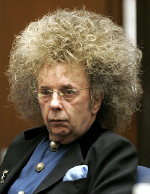 Were having a Bad Hair Day podcast at the normal time, 7PM Pacific this evening and we'll be talking about the release. You can catch the show live on BlogTalkRadio or as a podcast shortly after the completion of the show at 7:45PM. Our guest for this evening's podcast is Chris Saad, who we had originally scheduled to talk about commenting and blogging and everything related, which is just about everything in community software. There was a fair amount of TechCrunch agenda in there. I didn't get that they're at war with RSS from reading the TwitterCorp notes, just that they don't feel all RSS content should flow through Twitter. I concur. Twitter and RSS are used for different purposes, and there's far too much new stuff in RSS for Twitter's system to handle. After reading the TC piece about Twitter I thought: "How wrong that a company owns this medium." Always felt that, reinforced it. Wonder what Doc Searls thinks about this. Seems we're derailed from the Cluetrain. Last update: 7/16/2009; 6:21:48 PM Pacific. "It's even worse than it appears."